So, here is what I am thinking for the backing for my quilt. Picked some fabrics I thought might look alright together for the back. 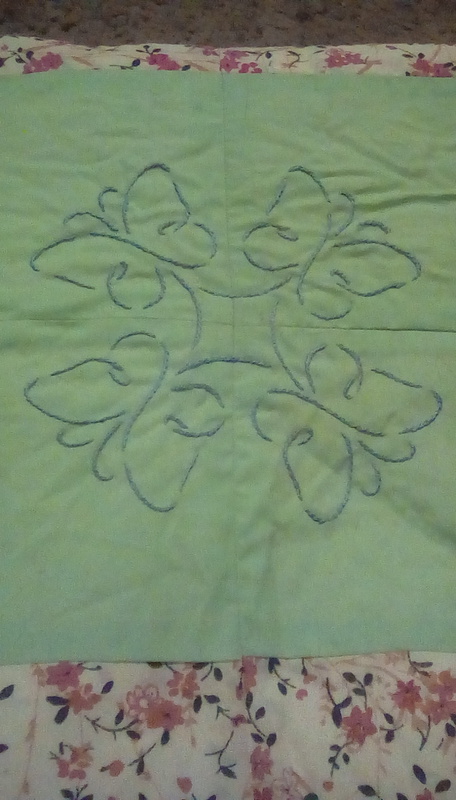 Just wanting opinions before I actually start stitching. It looks just fine to me. A nice way to use up some medium sized strips. 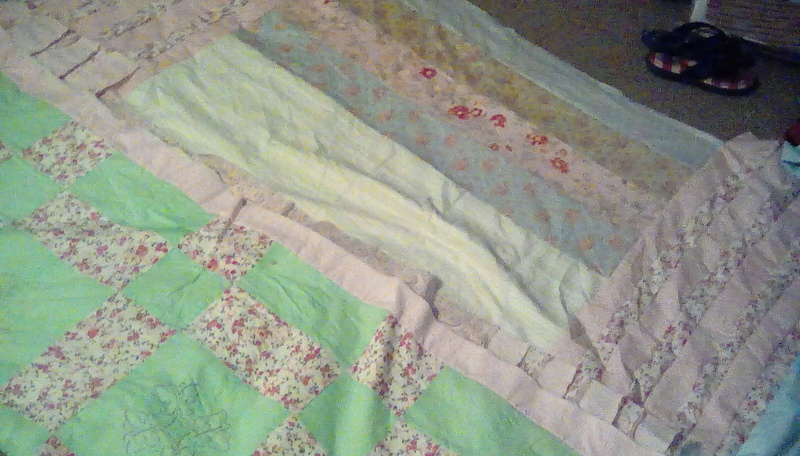 Looks pretty together except that one dark top fabric seems glaring compared to the rest of the soft colors. But, it's the back and may blend with the front. Not sure since that is not pictured. Without knowing what your quilt top colors are, I think these look great together. I love scrappy backs for some of my projects. Without the color referenced above by “teen”, your backing will have a “Shabby chic”flavor. Put another soft color where the gray is, and it will look two sided. Nice looking colors for all of the others though. Okay, finally done. Here is a pic showing both the back and front (front flipped up. The back is the same on both ends. The bottom part of the pic is the top, and the top part of the pic is the back. Also a pic of the hand embroidery done on the big green blocks on the front. It should finish out to a queen or close to it once it's bound. 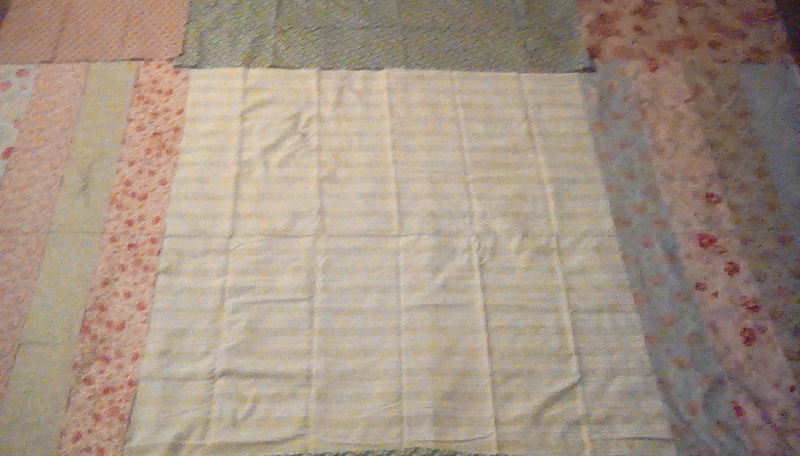 Now to get it all basted and in the hoop for hand quilting! I have named it "Perfect Imperfection"
Last edited by Tiny Tigger; 05-19-2018 at 09:42 AM. Your embroidery is impeccable and I love the butterfly pattern!